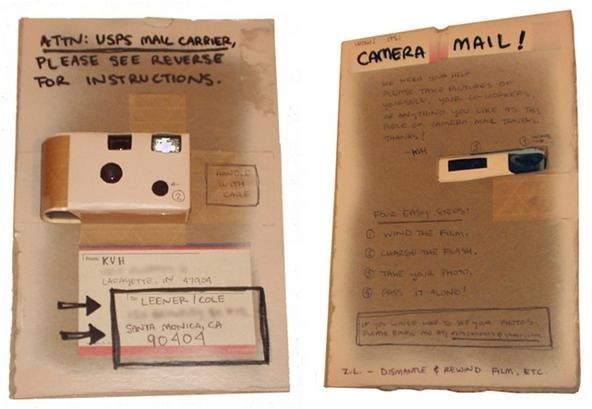 What would happen if a working disposable camera were to travel from Massachusetts to Hawaii via first-class mail, with explicit instructions for its handlers to take photographs? 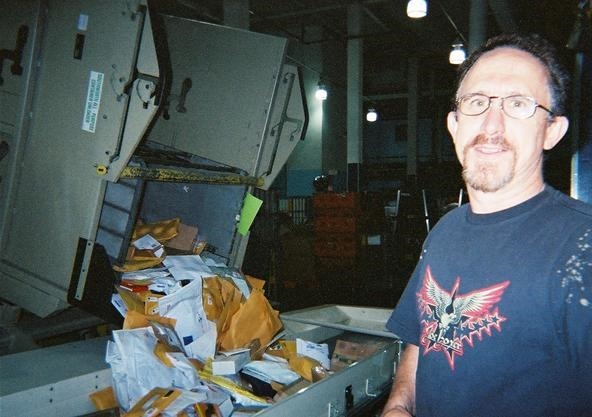 You'd get a rare glimpse inside the inner workings of the United States Postal Service. 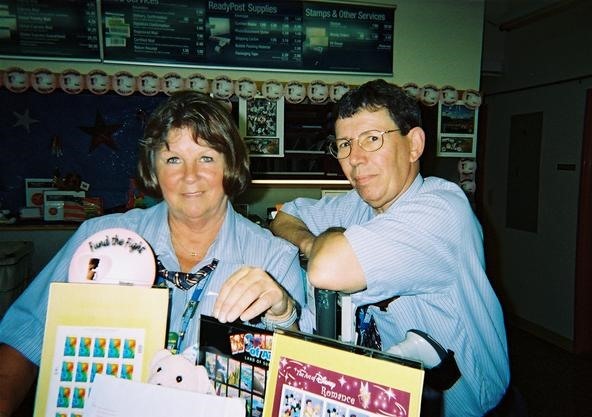 Five years ago, web designer Matthew McVickar sent his first disposable camera project from the Cape Cod area to his friend's apartment in Honolulu. 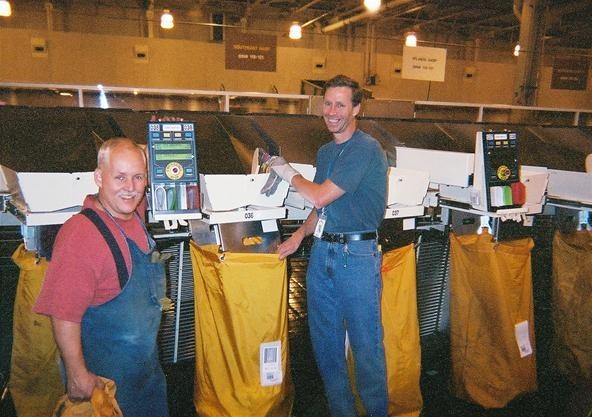 A Kodak Fun Saver was strapped to a large piece of cardboard with a written notice that USPS workers could not ignore—"Attention Postal Workers! ", which directed them to "Take a photo before you pass it on!". 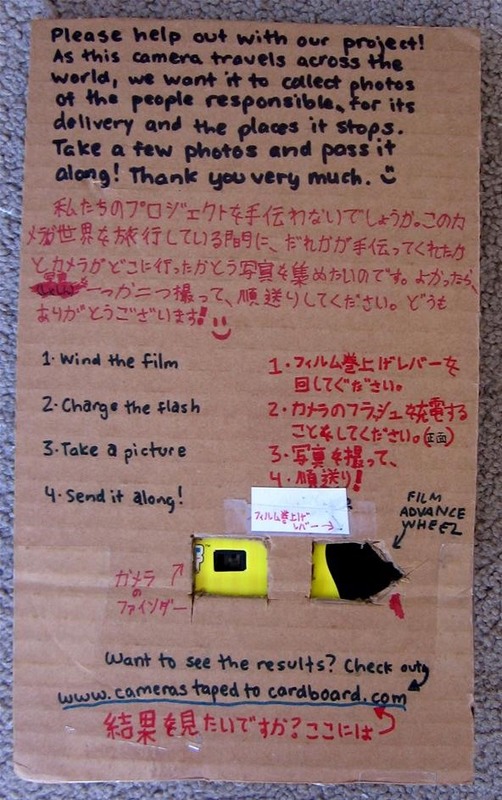 When he retrieved his CameraMail project in Honolulu, it had seven pictures in total (see them all in his Flickr set). All of them showed its journey from the initial mailing at the local post office, to the sorting at the distribution center, to its final destination. Since then, Matthew has tried sending three more disposable cameras in the mail from Hawaii—to Washington, Japan and back to Massachusetts. Sadly, they are still MIA. 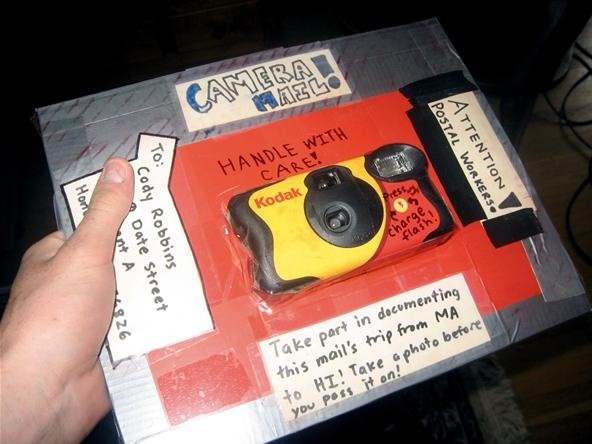 But this isn't the first time a disposable, single-use camera had been sent through the mail. Matthew got his inspiration from Kyle Van Horn who sent his first one back in 2003. But Kyle also drew inspiration from elsewhere... Daniel Farrel and Richard Kegler, aka P22. 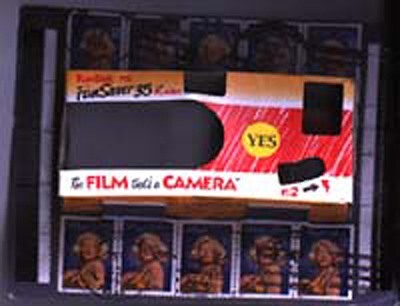 From 1990 to 1996, they had sent over 200 art pieces through the mail, one being a disposable camera, where only a few pictures came out. Now, when are YOU going to do this? Maybe you can get a camera full of images, instead of just seven? Do you have a better design to force participation... and its safe return? Really great conceptual art piece.